Jean B. MacLeod, 9780997446425, 176pp. A garden is a labor of love, but that doesn't mean it must always be labor intensive. Discover how to save time and money while creating an organic, sustainable garden. In The Waste-Wise Gardener, MacLeod shares scores of easily implemented tips and techniques designed to take some of the labor out of your labor of love. As you read through her alphabetically organized advice, you'll discover how to conserve natural resources, expenses, and your own time--all while maintaining an organic, earth-friendly garden. MacLeod tackles such topics as water conservation and gray-water use, environmentally safe sprays, companion planting, and the importance of considering hardy native plants. She offers suggestions for easy composting, organic mulches, and natural pest control. 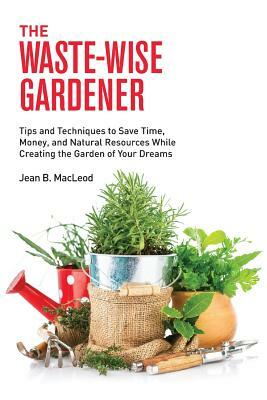 MacLeod's principles and tips will help you become a more resourceful, economical, and waste-conscious gardener. You can create a vibrant, sustainable garden without sacrificing all your time to maintenance. After all, what's the point of creating a natural work of art if you don't get to relax and enjoy it?